The Tippmann Arms Molle Tank Pouch. The perfect way to carry your tank when using a remote line setup. The pouch can be mounted horizontally or vertically. 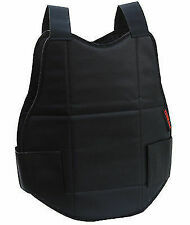 Valken Paintball MOLLE Tank Pouch - Tactical Black. The Tippmann Chest Protector is fully adjustable to fit most paintball players and will protect you from close range shots. Airsoft Gun and Paintball Gun Information Clothing / Apparel. Airsoft Guns are TOYS and comply with all Federal Laws and Regulations. Tippmann Molle Tank Holder Black. The Tippmann Arms Molle Tank Pouch. The perfect way to carry your tank when using a remote line setup. The pouch can be mounted horizontally or vertically. 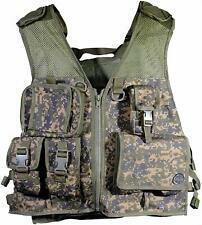 Fits standard MOLLE webbing. WE DO NOT TAKE BACK ANY USED OR OPENED PRODUCT. Simi Valley, CA 93065. Perforated padding for the ultimate in protection and ventilation. Stay protected with a new Tippmann Chest protector! Manufacturer's warranty goes into affect thereafter. 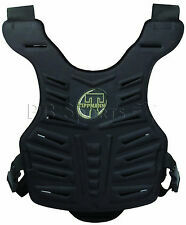 Tippman Padded Chest Protector Paintball New In Package. Shipped with USPS Priority Mail. 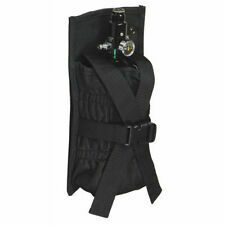 Tippmann 2 Point Sling. I will not mark as a gift, nor will I mark the item at a reduced price, I will mark the total amount the product sold for. For added protection on the field, the Tippmann Chest Protector provides front and back, upper body coverage from close range shots. Our founder who fell in love with the sport of paintball through a corporate team building event, found it very difficult to find gear at affordable prices in Tampa. Being sold by reputable paintball dealer (PB Sports ). 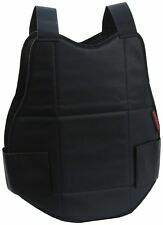 This one size fits all body armor provides protection for your chest and back. Molded Chest Protector - Black. Molded EVA padding. One size fits all. Extra protection for critical areas is necessary to ensure safety and comfort while playing paintball. The Tippmann chest protector is the ideal choice for serious woods ball operatives or scenario and tactical players. Tippmann is known for their quality products in the world of paintball. Vest fits easily over your head. 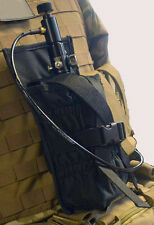 Vest also has slots for attaching gear to it (MOLLE). Vest has been previously owned, but is in great condition. Patch has hook and loop fastener on the backside. Most importantly, all of the Wicked Sports staff play paintball. All of our employees get out to the field as often as they can. We also carry our own rapidly growing line of custom products including tanks, t-shirts, barrel covers, tech mats and goggle bags. This heavy vest allows you to place gear across your entire upper body. Padded Air Channels provide superior comfort and venting. We will respond to your inquiry in 24-48 hours. 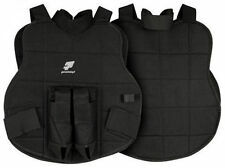 Tippmann Black Paintball Padded Chest Protector Padding (Used). Condition is Pre-owned. Shipped with USPS Priority Mail. Stay protected with a new Tippmann Chest protector! TIPPMANN Paintball Chest Protector. For added protection on the field, the Tippmann Chest Protector provides front and back, upper body coverage from close range shots. Can you cancel my order?. Probably not. Trending at $15.71eBay determines this price through a machine learned model of the product's sale prices within the last 90 days. Tippmann Black Paintball Padded Chest Protector Padding with Side Adjustments. Condition is New with tags. Shipped with USPS Priority Mail. Tippmann Chest protector, padded. Takes the sting away from paintball hits! One size fits most! New, unopened box! A great gift for beginner players. Patch has hook and loop fastener on the backside. Our founder who fell in love with the sport of paintball through a corporate team building event, found it very difficult to find gear at affordable prices in Tampa. Padded Foam for CQB Protection. One size fits most. Multiple Materials. Tippmann Chest Protector. For added protection on the field, the Tippmann Chest Protector provides front and back, upper body coverage from close range shots. Being sold by reputable paintball dealer (PB Sports ).